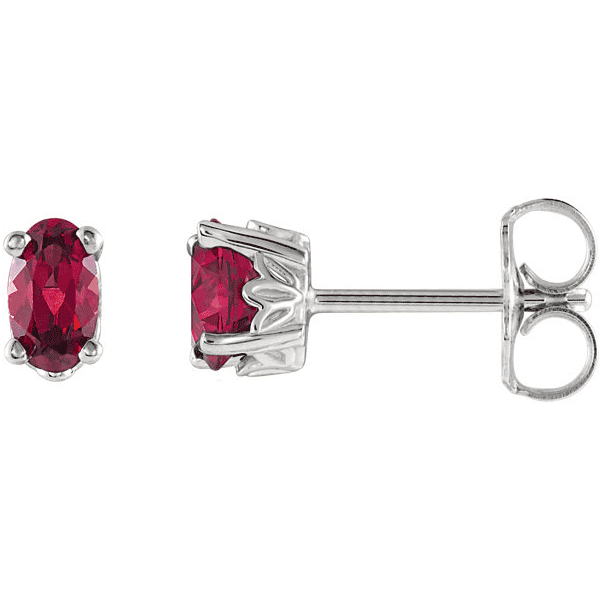 Oval garnet stud earrings set in beautifully crafted scroll-work design gemstone stud earrings made in your choice of 14k white gold or yellow gold. The center garnet gemstones measures 5mm x 3mm oval and are "AA" rated quality. Comes with secure, friction-post push-back closures. We guarantee our 5x3mm Oval Garnet Scrollwork Stud Earrings, 14K White Gold to be high quality, authentic jewelry, as described above.